What's Resident Evil without a theatrical range of stage costumes for our heroes to leap in and out of whilst surviving their survival horror? Capcom's upcoming remake of Resident Evil 2 is certainly shaping up to be no different. 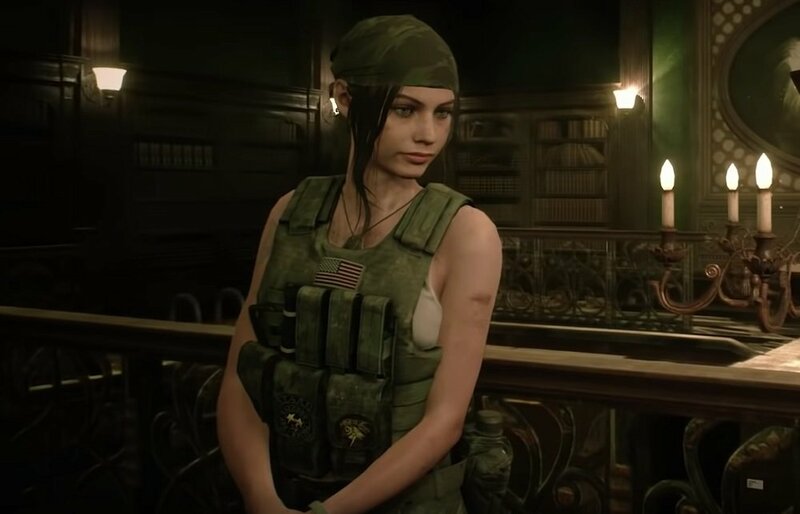 We've already seen screens of gaming's sexiest heroic duo Leon Kennedy and Claire Redfield rocking hard-boiled noir looks, but this brief new video gives us the chance to scope young Redfield in some ruthless merc gear, ripped straight out of Sicario, or Ghost Recon: Wildlands. You can check out the short video below, although to be honest, Claire herself looks pretty non-plussed with her new military look. Oh well, if you like it, then you can bag the military outfit as a bonus with the zombie shooter's Deluxe Edition, which also contains several other outfits, and a retro soundtrack option, which, as I've stated before, all sound like things you would have unlocked for free back in 1998. Resident Evil 2 launches January 25 on PS4, PC and Xbox One.